Why I am looking forward to this: Just look at that cover, it's so awesome. I'm such a sucker for elemental covers. x) And while you get normal girl gone savior of the world all too often, I'm pretty sure I would enjoy slave girl gone weapon very much! This one is on my wishlist already 🙂 Sounds utterly fantastic! 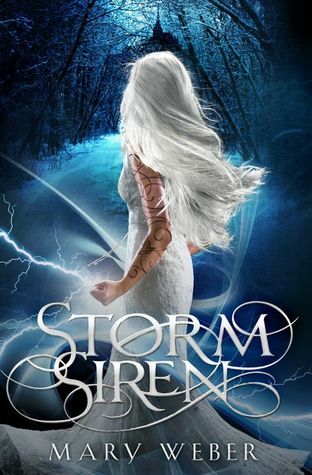 Storm siren looks really interesting! great pick! OO!! I added this to my tbr, this looks and sounds really good! Can't believe I've never heard of it until now!! Great choice! I'm surprised that I haven't heard of this one before, but it does sound pretty good! Thanks for bringing it to my attention. I can't wait to read this one either! I'm always up for a little fantasy. Great Pick! Hey, what do you know! I'm waiting on this one, too! That means this is definitely a GREAT read!! I'm glad you like it, too. As they say, "Great minds think alike." Lol. Maybe we can compare reviews when it's released. I haven't heard of this one before, and I am picky about fantasy, but the synopsis sounds very, very intriguing. (And, really messed up- killing at birth is always a bad idea.) And I agree, the cover is really pretty. Great pick! Nice pick! That is really the most beautiful cover. Thanks for sharing! YES ^^ this was my WoW pick last week I believe! I am definitely waiting on this one right along with you 😀 It sounds amazing and I love that cover ♥ I'm such a huge sucker for elemental magic and like you said: the way the MC goes from slave to weapon sounds brilliant! Awesome pick!! recently posted... Cover Madness Giveaway! Love the cover. Not sure it's for me, but I hope you enjoy it! And thanks for coming by my blog. That is a great cover! I love elemental books too! Thanks for sharing and for stopping by! We have the same WoW! Ooh, yeah! This sounds so good! And I agree! Slave gone weapon just sounds awesome. 🙂 Great pick!! This is the first time I saw this and it sounds cool! Thanks for droppin by WoW!